Father knows best | Counting my cookies... & Eating them too! Counting my cookies… & Eating them too! 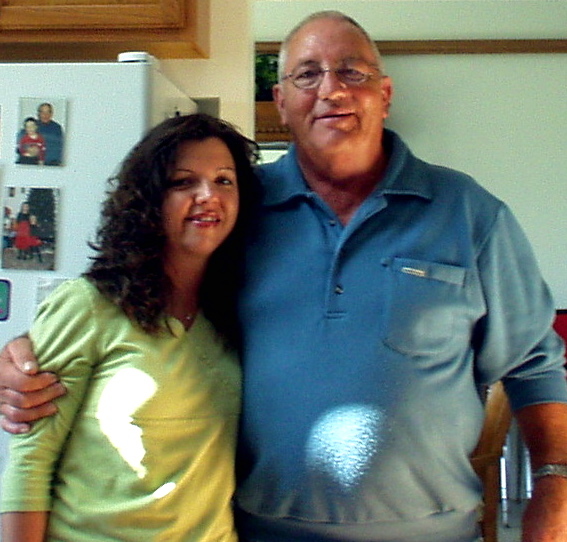 I wanted to take a minute and write a little post in tribute to my Dad, since today is Father’s Day. 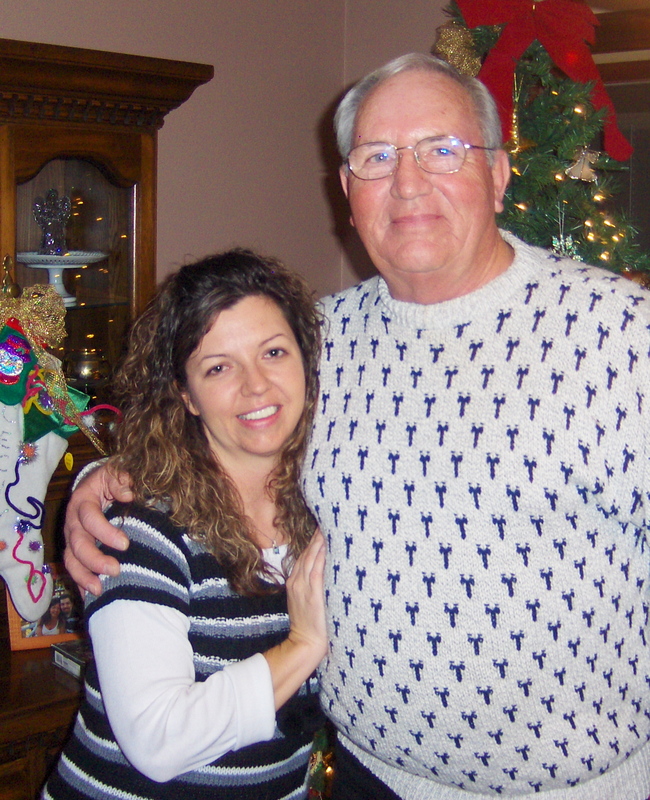 Now, there is a lot that could be said about my Dad, but for the sake of this post I will try to keep it somewhat relevant to the theme of my blog. My Dad may not fully realize this, but he has had such a tremendous influence on my life. There are so many things I’ve learned from him! Not just things that he set out specifically to teach me, but things that have come to be part of who I am simply because they are part of who he is. My Dad is one of the hardest working men that I know. And I don’t just mean that he worked hard at his job to support his family, which he most certainly did. What I mean is he has never been discouraged from attempting to do something because it would require hard work. In fact it would seem just the opposite is true. My dad can build anything, fix anything, and will dream up ways to create work for himself to make everything around him better than the way he found it. Dad grew up on a farm and was used to working with his hands and getting dirty was just part of the fun for him. As I was growing up, it seemed every weekend there was a neverending list of chores and projects for which my assistance was deemed necessary. I’m not so sure he really needed my help, if he liked my company, or if he was just trying to keep me so busy that I didn’t have time to get into trouble, maybe all of these were true. But I grew up being ‘daddy’s helper’, and it has made me a better person today. At the time, I would moan and complain and dream up any excuse I could think of to sneak away from the task at hand for any amount of time I could get away with. Yet today, I wouldn’t trade one single moment spent with my Dad on “projects”, I cherish that time spent with him and the lessons learned. Our weekend projects would range anywhere from building new rooms in the basement, to heavy landscaping work in the yard (I cannot tell you how many wheelbarrows full of dirt, rocks and heavy items I have filled and emptied throughout my childhood!). Cleaning the garage seemed to be a favorite past-time of Dad’s, as was planting trees, which inevitably required me to carry buckets full of water to rows of trees day after day all summer long. I’ll never forget the summer my Dad and I built a pole barn together, he taught me how to lay a foundation of sand, to level it and soak it and level it some more. Dad taught me how to pour cement, how to build walls, he taught me how to swing a hammer and how to use a screwdriver. I remember carrying shingles up the ladder to keep the supply flowing as he and my uncle put on the roof. Of course a few of those trips up the ladder were to keep the supply of cold beer flowing as well. 🙂 Dad knew how to create balance between working hard, and enjoying it. Dad wanted me to know how to do things for myself. I didn’t usually appreciate his efforts to teach me the value in that, at the time. But I’m so grateful now that I had that kind of Dad. I even remember the time Dad taught me how to change the brakes on my car, that was a tough job! I’ll never forget the hard time we were having getting those brakes off and my dad saying “if you can’t get it loose, get a bigger hammer”, lol! I seem to recall watching him swing a giant pipe wrench with all his might, I was sure that my Dad was the strongest man alive! It seems to me there was nothing in the world my Dad couldn’t do, create, build, fix or improve upon. But I think his secret was that he wasn’t afraid to learn how to do things, if he ever made mistakes I guess I wasn’t aware of it, but I’m sure he did, as we all do. But I’m certain if my Dad ever made a mistake it was well worth it because he’d use the experience to learn how to do things better next time and what things to avoid and what to do differently next time to make the job easier, and to make it turn out better. Dad was not afraid of something being so hard to do that he might fail. If he had those fears, he never let them show and he certainly didn’t let them stop him. Watching these traits in him instilled in me the perfectionism that I now find as blessing, albeit sometimes a curse as well! These are things he didn’t go out of his way to teach me about, but that I learned from watching him and getting to know him. Now, as a grown woman, I find myself more excited about new projects the harder they are. I may not exactly be a builder like Dad, but I’m willing to try to figure out how to do just about anything and this has served me well in many areas of life. Dad taught me there is a certain amount of pride that comes from doing hard work and breaking a good sweat. I am so fortunate that my Dad raised me in a home with good food! It must have been his background, coming from the farm, but we always had fresh fruits and vegetables in the house. As a very young girl I remember we always had dinner together as a family, and it was always a well-balanced meal. Meat, potatoes, other vegetables, salad, bread, dessert, the whole nine yards. Our pantry was not stocked with pre-made boxed concoctions of imitation food products. We ate real food. Vegetables, lots of them. Fresh meat. Always fruit in the house to snack on. I remember our refrigerator always containing bags of apples, bowls full of oranges, there were always bananas on the counter for snacking. Dad had a love of vegetables, it would be common to find cut up carrots in a bowl of water in the fridge just waiting to be snacked on, or radishes – those were another big favorite in the house. Cucumbers sliced up into “cucumber salad”, it seems like this was always in our fridge all summer long. As a child and even as a teenager, I don’t think I can say that I always loved all of these things, but I am so glad for all of the exposure I had to so much fresh food in the house. Thanks to Dad, I’ve eaten just about every kind of fruit and vegetable on the planet, and learned to love most of them. This background of growing up with “real food” has given me a real advantage as I have been working on getting healthier and losing weight. After I moved out on my own at a young age and the couple of decades that followed, I turned to “easy” food, things that mostly weren’t even food at all. Processed, imitation, food flavored things. Full of sodium and fat and sugar. When I finally decided to take control of my diet because I could feel from the inside that it was slowly killing me, all I really needed to do was fall back on my roots. Go back to what I remembered eating as a child. I had all the building blocks in me for healthy eating I just needed to start putting them into action in my own life. 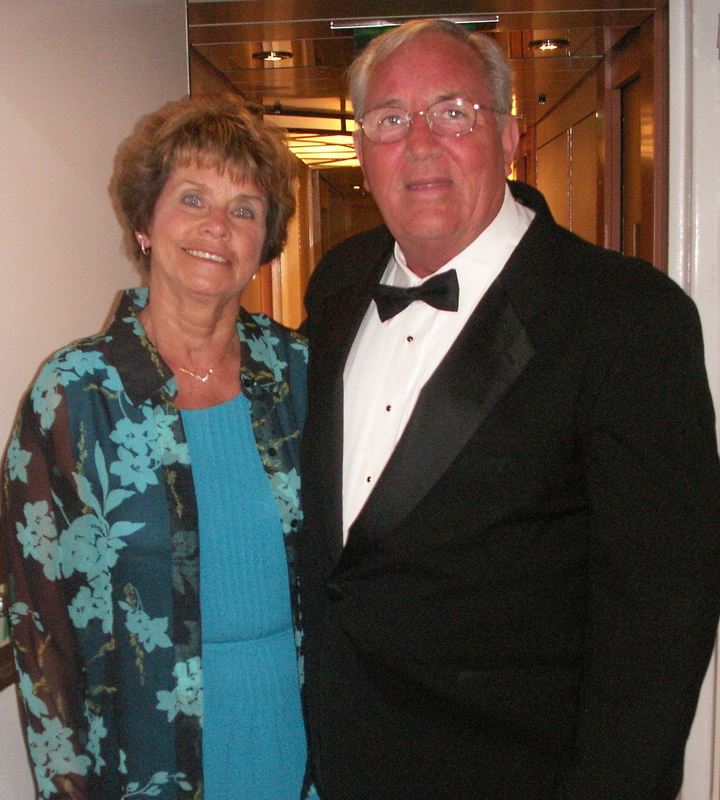 My handsome Dad & his beautiful wife! My Dad is what I would describe as an adventurous man. He has always been very active and had a lot of interesting hobbies. 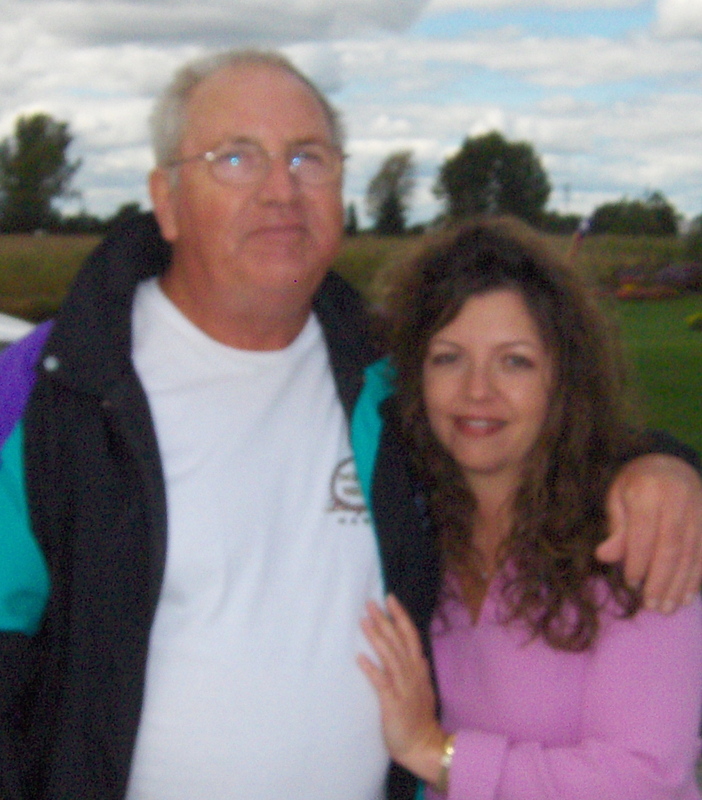 As a child I remember him taking us kids out to play in the snow on his snowmobiles, taking me for rides around the block on his Harley Davidson, spending weekends at the lake on his boat. He taught me to fish and to water ski. My dad loves to be outdoors and always took us camping and canoeing with the family every year. Dad even developed a love for flying. He often took me with him as he was taking his flying lessons to get his pilot license. Now don’t get me wrong, as a 8 or 9-year-old girl, it was the most boring thing in the world to sit in the tiny little airport waiting for him while he was out doing his lessons. But, it gave me exposure to him learning to do new things. Dad eventually got his license, and his own plane. Many weekends were spent flying to various small airports around the state for “pancake breakfasts”, airshows and things like that. And an uncontrollable sweet tooth! Some of the things I got from Dad, may not serve me well but, they are what they are. Dad has a sweet tooth like nobody’s business, and ‘daddy’s girl’ is no different! While we usually had a kitchen full of nutritious, natural foods, there was also a fair amount of SWEETS! When I was very young, I remember Dad packing up the family in the car and driving us into the city to Mooney’s Ice Cream where we would all get ice cream cones after dinner. I don’t recall if this was something we did often but it seemed like we went there all the time! Mooney’s is where I developed my passion for chocolate chip mint ice cream, which I still love and crave to this day. Dad developed in me a passion for dark chocolate. There was usually a Hershey’s Special Dark chocolate bar somewhere in the house and it was DAD’s! As in, off-limits to the kids! And I can’t tell you how many bags of Hershey’s miniatures found their way into our kitchen, and Dad would always pick out the special darks first. Eventually I figured out why he was so crazy about the dark chocolate, it is AMAZING!! To this day, dark chocolate is my biggest weakness by far! OK, OK, I know this post has gotten ridiculously long, and is probably completely boring to anyone reading it except for me, and hopefully my Dad. Sorry to put you all through this little trip down memory lane, but I just really wanted to share some of my favorite thoughts about my Dad today. Dad, I’m sorry that busy lives and many miles have created a distance between us over recent years. But I wanted to put this post out for you so you would know, that even if you don’t get a phone call from me every week or a visit very often, you are NEVER, EVER far from my thoughts. You have invested so much of yourself into my life and I am eternally grateful for all of it. You are an amazing man and I am so proud to have you as my father. I love you Dad! HAPPY FATHERS DAY! 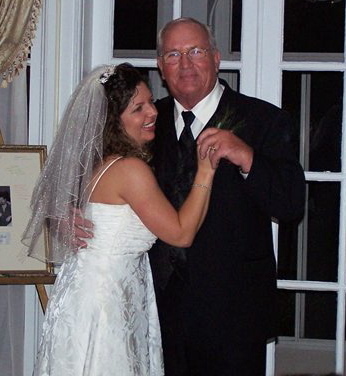 One of the best parts of my wedding, the dance with my Dad! This was a lovely post. It brought a big smile to my face. Your dad sounds like a great man who wanted his daughter to be self sufficient and successful. You are a very lucky woman to have such a father. Funny how when we’re growing up we don’t always see what our parants are trying to teach us. But many things stick. Your dad has a lot to be proud of I think when it comes to you, Debb! Gee, I didn’t realize that I made such an impression on you. You brought back a lot of pleasant memories. Thank You for being one of my daughters, and doing things your way. I am proud of you. You've got to keep it going if you want to keep it gone! Debb V - author of Counting my cookies...And eating them too! Because there is a middle between the before and after. It's me, meandering through life! Dietitian, Yogi, Intuitive Eating + body positive, Wife, Mom. Plus, I love coffee.